In seven years of blogging about food, this is the first year I've gotten my hands on some actual mooncake! I had it over the summer, while I was visiting my mother in NJ. The dessert isn't cheap - because it's usually given as a gift, the price of these pretty boxes can be expensive. 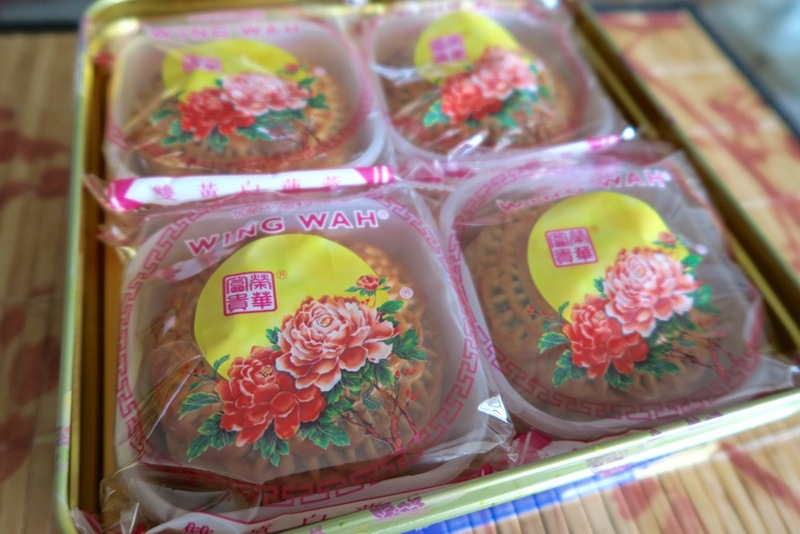 This particular package by Wing Wah costs almost $60, which means $15 per mooncake. They're like the fruitcake of Asia! It seems like more people buy them for one another than for themselves. I am actually not a huge fan of them myself, but the decorative tin is definitely worth keeping. As you can see from the design and filling, these pastries are labor-intensive. This one that my Mom had in her house is filled with lotus seed paste. The egg yolk represents the shape and color of the moon. It's a very rich, dense, and heavy bite. I only need to eat about 1/8 of the cake to feel like I've celebrated properly. Apparently, they're really high in calories too. 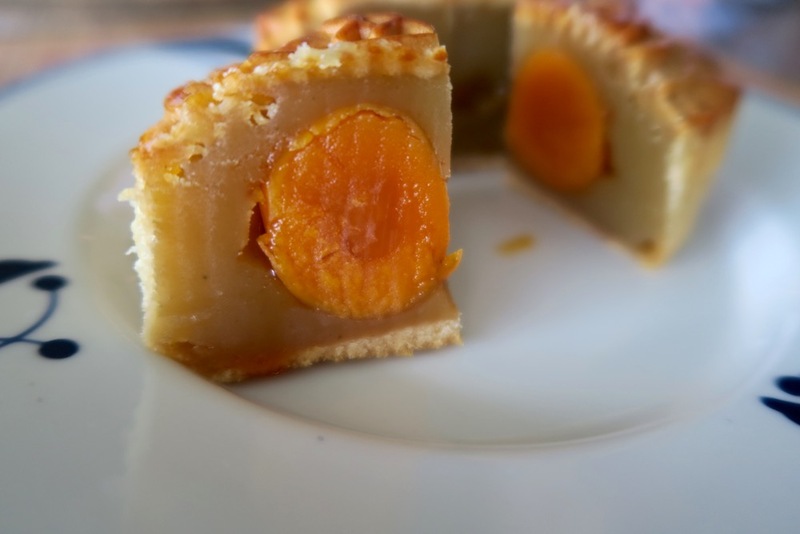 You might want to check the ingredients of your mooncake if you're vegetarian, a lot of recipes use lard in them. I'd love to learn more about the desserts other Asian countries eat to celebrate this holiday. Maybe next year, I'll get my act together in time to explore what Koreatown, Westminster, Thai Town, and Little Tokyo. In the meantime, I'm pretty proud that I finally am able to bring you this post and video. The Mid-Autumn Festival starts September 15th (you'll hear my mom announce that several times).